The Russian civil court system has two branches: the arbitrazh (commercial) courts, which handle commercial disputes involving legal entities and individual entrepreneurs, and have exclusive jurisdiction over corporate and bankruptcy matters; and the courts of general jurisdiction, which handle other types of proceedings, mostly involving individuals. There are also specialist courts within the civil court system, including military courts and the Intellectual Property Court (however, this latter court, a court of first instance, considers only a limited number of disputes). There are no separate financial or commercial courts. Each branch of the civil court system has its own separate appeal courts. The court of highest instance for both general jurisdiction courts and commercial courts is the Supreme Court of the Russian Federation. Hearings in the first instance courts are heard by a sole judge, whereas hearings at the appeal courts are usually heard by a panel of three judges. The role of the judge is based upon the rule of fairness between the parties. The judge makes decisions taking into account the parties’ arguments, and therefore does not have an active (inquisitorial) role. However, the judge can request explanations from the parties, interrogate parties and request production of documents from parties to the dispute (or even third parties). Juries are not involved in civil proceedings. Commercial courts can have ‘arbitrazh assessors’ (ie, persons possessing specific knowledge or experience) to sit together with the judge. Under the relevant rules, judges are assigned to specific cases depending on their prior experience (ie, their specialisation) and current workload. There is a procedure to confirm that they do not have a conflict of interest with any of the parties. Technically, the distribution of new cases in the general jurisdiction and commercial courts is carried out by the chairman of the court. In some selected courts, however, new cases are automatically assigned via IT software. The Russian Civil Code (Civil Code) recognises two types of limitation periods: a general limitation period, and a special limitation period. Under the general limitation period, the claimant has three years to commence proceedings. This period starts from the day when the claimant learned (or should have learned) of the infringement of his or her rights and the identity of the defendant. In addition, there is a ‘hard’ limitation period of 10 years, starting from the day of violation of rights. A party is able to assert the three-year subjective limitation period as a defence within the 10-year objective long-stop period. In the absence of a special limitation period, the general limitation period of three years applies. For example, as the law does not provide for a particular limitation period in relation to the protection of exclusive rights to a trademark, the general limitation term applies. five years: for claims filed by the Russian Federation in connection with the provision and execution by the Russian Federation of state guarantees. certain other claims stipulated by law (eg, claims arising from family relations or claims for recovery of personal injury caused by a radioactive effect). The time limits for bringing civil claims are mandatory under Russian law. The duration and calculation of limitation periods cannot be altered by an agreement between parties. due to the suspension of a law or regulation governing the relevant relationship. Suspension of a limitation period should be distinguished from interruption of a limitation period. The latter occurs when a person acknowledges his or her debt or files a claim in the court. If suspended, the limitation period resumes once the circumstances for suspension terminate. When the limitation period has been interrupted, and then starts running anew, the time lapsed before interruption is not counted in the newly started limitation period. The limitation period applies only upon application of a party to the dispute. Such application can be made at any stage before the court renders its final decision. Once a limitation period has lapsed, then upon the motion of a party, it may serve as adequate grounds to dismiss the claim. However, if the lapse of a limitation period is not raised by a party, the court must consider the claim and render judgment regardless of the expiration of the limitation period. Prior to issuing proceedings, parties must follow a mandatory pre-action procedure. For example, debt claims can only be filed at court 30 days after a debtor has been sent a request to pay the creditor. In other cases, such as corporate disputes among shareholders of a company, it is necessary to notify the company of the upcoming claim and outline the substance of the dispute prior to the filing of the claim. As explained above in question 4, there is a pre-action procedure for certain cases. Civil proceedings are commenced by the claimant filing a lawsuit with the court. The claim can be filed by post, courier or in person. In addition, filing a claim in the commercial court can be made electronically. Once the court accepts the claim, and commences proceedings, parties are notified about the hearing date and their obligations prior to the hearing. It should be noted that the courts in larger cities (such as Moscow) are very busy. Accordingly, if claims are filed in a court in such a city, hearings are likely to be delayed and less time than normal will be allocated to oral hearings. The typical procedure for a civil claim comprises one preparatory and one or two court hearings on the merits, during which the parties are able to present evidence, testify, provide witnesses and plead their case. A civil case typically takes between three and five months in the commercial courts (depending on caseload) and could take over a year for larger, more complicated cases. Appeals of civil claims may take approximately six months, making the total time for both the original decision and the appeal approximately nine to 12 months at best. Generally, the parties cannot control the timetable. However, in certain situations, the parties can file motions with the court for an expedited review of the claim. The parties can also ask the court to take into account their representatives’ schedules in determining the date of the hearing and the necessity to travel. However, such requests are not binding on the court. Additionally, courts are often ready to postpone hearings if the parties are in settlement discussions. Both the Civil Procedure Code and the Arbitrazh Procedure Code provide that all parties to a dispute have equal rights to present evidence and to participate. Moreover, as a general rule, the court may not put any party in a preferential position or impede any party’s rights. Accordingly, this rule also applies to the parties’ access to evidence. A Russian court will review and examine any documents provided by a party if they are relevant to the case. If a party cannot obtain evidence itself, it may ask the court to assist by seeking an order requiring the defendant or any third parties to provide evidence to the court. However, as there is no formal ‘disclosure’ process in Russian proceedings, such a request must be very specific to the subject matter of the dispute, otherwise the court will deny it on the basis that it is too broad. In the absence of such an order by the court, the parties have no obligations to share relevant documents with each other. Under existing procedural rules there is no duty of the parties to preserve documents and other evidence pending trial, although the court may draw inferences if key documents to the dispute have not been made available without the parties having offered a reasonable explanation. In general, Russian law does not recognise the concept of legal privilege for the parties’ legal representatives in either civil or commercial courts proceedings. There is an exception for attorneys-at-law (advocats) who are licensed members of the bar. However, even in that case, legal privilege is limited. Notably, a legally privileged document cannot be used as evidence in criminal proceedings (for example, if such a document has been seised by law enforcement authorities). As a matter of Russian law, legal advice from an in-house lawyer (whether local or foreign) or outside counsel will not be considered privileged. Therefore, no objection may be made against including such documents as evidence. However, it will largely depend on the court whether it would be willing to review and consider the information provided in such legal advice and the weight that will be given subsequently to such evidence. Particular procedural rules regulate the examination of documents containing legally protected ‘secret information’ (relating to bank secrets, commercial secrets, etc). For instance, if an open hearing of the case may lead to the disclosure of secrets, or when federal law directly provides for a closed hearing, the court shall conduct proceedings in a closed hearing, and the corresponding judgments will not be publicly available. At the same time, the parties to a case and their authorised representatives, including experts, witnesses and interpreters, retain the right to participate in closed court sessions and, accordingly, even evidence that contains secret information can be admitted in the proceedings. Certain privileges are granted to attorneys-at-law participating as defence lawyers in criminal proceedings, in cases relating to state secret information. The Law on State Secrets allows attorneys-at-law to access case materials containing state secrets without having to go through special clearance procedures. However, the court will notify all participants of the potential for criminal liability in the event of disclosure of legally protected secret information, and will require a written acknowledgement to be signed. The parties are not required to exchange written evidence (including witness statements and expert opinions) prior to commencing civil proceedings. However, parties are under an obligation to disclose such evidence to the court and the other party in a reasonable time before the hearing (which in practice should be no later than several business days). Written evidence is generally submitted in originals or certified copies. Witnesses and experts must appear in person to give evidence, as otherwise their statements will not be accepted by the court. suspension of performance of a writ of execution or sale of the property. The courts are allowed to impose other interim remedies, so the above list is not exhaustive, provided that such remedies are proportionate to the claim. Russian courts have the authority to order injunctions in support of arbitration proceedings (however, these are not available in support of foreign court proceedings). It should be noted, however, that injunctions are not widespread in practice. other methods expressly provided by law (eg, refutation of information discrediting honour, dignity or business reputation, suspension of performance of an obligation, retention of property, etc). The application of each of these remedies can be exercised either through official proceedings (ie, in court or administrative bodies) or using an ‘out-of-court’ procedure (for example, exercising self-defence of a right, retention or property, suspension of performance of an obligation, withdrawal from a contract or refusal to accept undue performance under a contract). The Civil Code expressly states that the list of substantive remedies provided by law is exhaustive. Therefore, the parties are not allowed to change or otherwise modify mandatory rules regarding jurisdiction over a dispute or to apply any remedy that is not provided by law. However, in practice a bad choice of a remedy does not mean that the claim will be dismissed or returned. If the court, upon accepting the statement of claim, finds that the claimant’s proposed remedy cannot ensure the correct restoration of rights, the court may determine which rules should apply. Under Russian law, most types of remedies are compensatory. Punitive remedies can be applied only in exceptional cases. Although Russian law is not generally supportive of punitive damages (as damages should restore the rights that have been infringed, and not punish the wrongdoer), in practice parties may seek a broad range of damages based on the evidence presented. Russian law specifically provides for a remedy in case of failure to perform a monetary obligation, and allows interest to be charged on a debt that has arisen out of a breach of contract, tort, unjust enrichment or other grounds. By default, interest accrues until actual repayment of the debt. If the interest is contractual, the defendant may argue it is excessive and punitive in nature. If the court agrees, it may reduce the amount of interest, but only subject to the defendant proving such interest to be excessive, disproportionate and significantly in excess of market practice. While Russian law recognises enforcement both in court and out of court (eg, through a notarial writ), enforcement via court proceedings is the most common method. Once a court decision is issued, the claimant receives a writ of execution from the court that rendered the decision. Based on the writ of execution, the decision can be enforced either through members of the Federal Bailiffs’ Service or, alternatively, judgments relating to monetary claims can be enforced by the bank where the debtor has an account. The bank must debit the adjudicated amount directly from the debtor’s account within five days of the claimant’s request. If the claimant does not have information relating to the accounts of the debtor, it can submit an inquiry to the Federal Tax Service, which will provide this information if the debt has been adjudicated by the court. Enforcing a judgment through a bank is a quicker option, but it is not always available if the debtor has no money in his or her accounts. Enforcement is regulated by Federal Law No. 229-FZ, dated 2 October 2007, ‘On enforcement proceedings’ (the Enforcement Law). other actions stipulated by federal law or by an execution writ. If the debtor lacks available funds (either in cash or held in bank accounts), any seised property of the debtor will be sold at a public auction organised by the bailiffs where the proceeds of sale are then transferred to the creditor. Failure to comply with the requirement of an execution writ may lead to a court penalty being imposed (approximately US$43 for individuals and US$1,730 for legal entities). Payment of a court fine does not negate the obligation to comply with the execution writ. In addition, wilful failure to comply with the court judgment may entail criminal liability ranging from monetary fines to imprisonment. Finally, sometimes creditors choose to apply for bankruptcy of the debtor (especially since bankruptcy of individuals is now allowed in Russia) and will seek to enforce their claims as part of bankruptcy proceedings. The court hearings are generally held in public and any person can come and watch the court hearing. If there is a risk of disclosing state or commercial secrets, the court can hold hearings that are closed to the public. The court decisions are publicly available (including publication on specific websites, especially for commercial courts), but the pleadings and evidence submitted by the parties are accessible only to them. The courts have the power to order costs and can make any order in relation to these. The losing party may have to pay the legal fees of the winning party, or the court may decide that each party pays its own fees. The court may base its decision on various grounds, such as which party lengthened the proceedings or acted in bad faith, and has the power to make the winning party pay both its own and the losing party’s fees if appropriate under the circumstances. The approach of the Russian courts towards contingency fees (or ‘success fees’) is not settled. On the one hand, there is a widespread opinion that a success fee for legal representation cannot depend solely on the decision of the court or public authority (Resolution of the Constitutional Court of the Russian Federation of 23 January 2007 N 1-P). Therefore, no ‘no win, no fee’ agreements are enforceable in the Russian courts, and in such cases the fee for representation will be calculated by the court taking into account the average market price for comparable services (Resolution of the Presidium of the Supreme Arbitrazh Court of the Russian Federation dated 24 July 2001 N 921/01). On the other hand, some courts hold that contingency fees are legal if reasonable and proportionate to the services performed (for example, Information letter from the Presidium of the Supreme Arbitrazh Court of the Russian Federation of 12 December 2007 N 121, Decision of the Arbitrazh Court of the Moscow District of 19 February 2015 N F05-4768/2014). The most recent trend is that contingency fee agreements are not void as such, but do not allow the winning party to recover the success fee from the losing party (Ruling of the Supreme Court of the Russian Federation dated 26 February 2015 N 309-ES14-3167). There is no general prohibition against obtaining third-party funding. However, this is currently not widespread and not formally regulated. It is generally possible to insure potential legal costs under Russian law, as there is no express prohibition. There are a number of insurance companies that list ‘insurance of legal costs’ among their list of services. However, it fair to say that the insurance of monetary losses incurred as litigation costs is not widespread in Russia. There is no concept of ‘class actions’ in Russia. However, it is possible to bring collective claims in administrative and commercial proceedings. the same remedy for each claimant. In practice, class action claims are not widespread and are mainly used in corporate and consumer claims. The general rule is that foreign judgments are recognised and enforced on the basis of bilateral or unilateral treaties between Russia and the country where a judgment is rendered. Currently, there are more than 30 treaties relating to the recognition and enforcement of foreign judgments. In the absence of such a treaty the judgment may be recognised and enforced according to the principle of ‘dual comity and reciprocity’. In practice, however, the chances of recognising and enforcing a judgment under this principle are rather unpredictable, as courts have not adopted a unanimous approach as to what exactly would constitute ‘dual comity and reciprocity’. This being said, there have been instances of precedents where foreign judgments were enforced by the Russian courts on the basis of broader multiparty treaties and conventions. if the execution of the request is not within the jurisdiction of the court. In practice, in most cases such requests from foreign courts will be guided through the Russian Ministry of Justice before being sent to the local Russian court, which may cause significant delays. The preamble of the Law No. 5338-1 on International Commercial Arbitration dated 7 July 1993 (the ICA Law) expressly mentions that it takes into account the provisions of the UNCITRAL Model Law of 1985 with amendments dated 2006. In fact, the text of the ICA Law mirrors the initial version of UNCITRAL Modal Law of 1985 with some minor modifications in order to reflect the 2006 amendments. The Federal Law N 382-FZ on Arbitration (Arbitration Proceedings) in the Russian Federation dated 29 December 2015 (the Arbitration Law) is structured in a similar manner to the ICA Law, and also follows the UNCITRAL Model Law with certain additions and modifications. An arbitration agreement shall be in writing or in any other form that is deemed equivalent to the written form, such as the exchange of emails, and inclusion in relevant clearing or trading rules, etc. The arbitration agreement can be concluded as an arbitration clause or as a separate agreement. With regard to corporate disputes, the arbitration agreement can be inserted into the charter of a Russian company, as long as it is adopted unanimously by the shareholders (provided that there are fewer than 1,000 in total); however, it may not be included in the charter of a public joint stock company. Both the ICA Law and the Arbitration Law provide that the arbitration agreement can also be concluded by the exchange of procedural documents (including a statement of claim and a statement of defence), whereby one party declares an arbitration agreement and the other party does not object to jurisdiction. Both the ICA Law and the Arbitration Law have the same default procedure for the appointment of arbitrators, applicable in the event that the parties to the arbitration do not refer to any particular rules or do not specify the appointment procedure to be used in the arbitration agreement. In an arbitration with three arbitrators, each party appoints one arbitrator and the two selected arbitrators appoint the third arbitrator. If a party fails to appoint an arbitrator within 30 days after receiving a request from the other party or if the two selected arbitrators fail to agree on the third arbitrator within 30 days of their appointment, the appointment shall be made upon the request of any party by a competent state court. In an arbitration with a sole arbitrator, if the parties fail to agree on the arbitrator, the appointment is made upon the request of any party by a competent state court. A panel of three arbitrators is appointed in the absence of the parties’ agreement. Further, state courts may (upon a request of any party) assist in appointing arbitrators in the event that one of the parties violates the procedure for appointment; or if a third party (including the relevant arbitration institution) fails to perform certain functions in connection with the appointment procedure. the Arbitration Centre at the Institute of Modern Arbitration: https://centerarbitr.ru/en/arbitrators-2/list. The general rule is that the parties to an arbitration agreement determine the arbitration procedure. In the event that no procedure is specified (for example, the arbitration agreement contains no reference to institutional rules), the tribunal may follow any procedure it deems appropriate, taking into account the applicable law, notably the ICA Law for international arbitration or the Arbitration Law for domestic arbitration. The general rule is that court intervention is not possible unless specifically provided for in the applicable law. 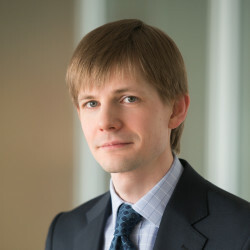 A court may use its discretion to intervene and set aside an award in circumstances where the dispute in question could not be resolved by arbitration under applicable Russian law, or where the award contradicts public policy. The arbitral tribunal may, at the request of a party, grant interim measures that it considers appropriate, unless the party agrees otherwise. The Arbitration Law and the ICA Law do not provide for any specific measures that might be imposed by the tribunal. The arbitral tribunal may require either party to provide counter-security in connection with such measures. Orders of domestic and foreign arbitral tribunals on interim measures remain non-enforceable in Russia (for example, Ruling of the Supreme Court of the Russian Federation dated 19 January 2015 in case No. 307-ES14-3604, A21-9806/2013), unless such order is part of a partial arbitral award. However, a possible approach to seek enforceability could be to apply to a state court for an award of the same interim measure and to refer to the relevant interim order issued by the tribunal. The Arbitration Law and ICA Law provide similar requirements for the form of arbitral awards. The arbitral award shall be evidenced in writing and signed by a sole arbitrator, or at minimum a majority of the arbitrators, where there is more than one. Where the parties agree to assign the dispute to a permanent arbitration institution under the terms of the arbitration agreement, they could agree that the resulting award is final and may not be subject to further challenge. In the event that such an agreement is not made, awards may be challenged within three months of the date the award was granted. Where a commercial court considers a claim to challenge an arbitration award, the resulting judgment will enter into force immediately. The parties could subsequently appeal that judgment further to the cassation level (ie, the commercial court of the relevant circuit) and then to the Supreme Court if necessary or desired. the composition of the arbitral tribunal or the arbitration procedure did not comply with the agreement of the parties or federal law. Unless there are grounds for setting aside the award (see question 31), the award will be enforced by the courts. It should be noted that it is easier to enforce an arbitral award than a foreign court decision. Enforcement of an award requires a straightforward application to be made to the state court, attaching the award and the arbitration agreement. Normally, at the stage of enforcement the state court should not review the award on its merits; however, in practice courts often do so in order to identify whether there are any issues that would either make the dispute unable to be concluded via arbitration, or would be contradictory to public policy. According to the Arbitration Law, the costs in domestic arbitration are allocated in accordance with the agreement of the parties, or in the absence of such agreement, in proportion to the granted and dismissed claims. At the request of the winning party, the tribunal can allocate counsel fees of such party and any other proceeding-related costs to the losing party. Depending on the parties’ conduct during the arbitration, the tribunal may order costs to be paid by one of the parties irrespective of the outcome. Third-party funding is not common yet, and therefore it is difficult to respond to a possibility of recovering third-party funding costs. Such costs would generally fall in the category of arbitration-related fees and legal costs, so should be recoverable, but any interest and commission related to attracting funding itself may be arguable. There are generally three types of ADR mechanism that are legally recognised and used throughout the Russian Federation: negotiation, mediation and arbitration. Negotiation is one of the more commonly accepted forms of ADR and is usually used as a first stage of dispute resolution. The second type of ADR is mediation, which is regulated by the Federal Law N 193-FZ on an Alternative Procedure for the Settlement of Disputes with the Participation of an Intermediary (Mediation Procedure) dated 27 July 2010 (the Mediation Law). A mediation agreement is concluded in writing, and the Mediation Law requires that it shall contain information about the parties, the subject matter of the dispute, the mediation procedure, the mediator, and details of the agreed obligations, their provisions and term. As decisions of the mediator are not legally binding, compliance with the mediation agreement is based upon the principles of cooperation and good faith of the parties. In practice, some disputes may be resolved by expert determination, which does not exist as a distinct form of ADR under Russian law, but is widely used in complex construction disputes as a variation of traditional negotiation. A requirement to consider ADR mechanisms becomes binding only if their application is explicitly referred to in the dispute resolution agreement. However, in litigation proceedings there is often a mandatory period (30 days by default) of negotiations whereby parties should undertake to resolve the dispute amicably. Where a negotiation or mediation attempt is made and fails to resolve the dispute, parties may commence litigation or arbitration proceedings. In the event that a claim is submitted to the court containing a valid and unperformed ADR clause, upon request from the defendant, the court is obliged to terminate the proceedings and revert the parties to ADR. Therefore, parties may only bypass the consideration of ADR with consent. Despite being in existence for over 20 years, the Russian court system is still in a somewhat transitional stage as there are ongoing debates about the unification of commercial and civil procedure rules, including the consolidation of the two court systems. Some steps of unification have been implemented over the past three years; however, this process remains ongoing. Russian arbitration reform was initially designed to encourage greater arbitrability of certain disputes, but in fact resulted in a massive reduction of arbitration institutions and the enactment of quite complex rules for the arbitration of corporate disputes, which raises questions regarding the success of the reform.